Candy Pettus grew up in San Diego, California and moved to NZ in 1976. Since then she has worked locally as a science teacher and skippered the historic vessel (MV Sierra) on the Hokianga Harbour. She is currently an online global academic editor of research papers in science, medical research and business. She loves sailing and playing music. You will find the library at Waiotemarama Falls Lodge filled with great books! Rawiri Moetara is New Zealand-born and of Maori descent (Ngapuhi). He has extensive experience in the hospitality industry, Youth Hostels and hosting Willing Workers on Organic Farms. Rawiri is an accomplished musician and songwriter. He plays guitar, bass and drums. His passions are gardening and fishing. We live in the Polehouse, where we will greet you. The Lodge is 200 metres up the driveway and into the forest. Hokianga-Nui-A-Kupe means 'the place of Kupe's great return'. Many iwi (Maori tribes) trace their ancestry back to the legendary Polynesian explorer Kupe who, with his crew, voyaged deep into the southern ocean to find New Zealand. Northland iwi claim the first landfall of Kupe's waka was on the shores of the Hokianga Harbour. Most Northland Maori can trace their ancestry to the Hokianga region; many of the country's bicultural families also have their origins here. If you approach the Hokianga region from the south you'll have the opportunity to drive through Waipoua Forest, home of Tane Mahuta, New Zealand's largest kauri tree. Soon after you exit the forest, the Hokianga Harbour will appear dramatically in front of you. You'll see huge white sand dunes on the northern side and the twin beach towns of Omapere and Opononi on the southern side. Near the settlement of Horeke is a natural phenomenon known as the Wairere Boulders. Amassed along a valley floor, this stream of huge rocks and boulders is 1.5 kilometres long. At first glance the rocks appear to be limestone formations, but they are actually basalt. The fluting on the boulders is caused by acids leaching from the kauri forests that used to exist in the area. 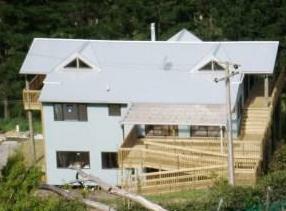 Waiotemarama Falls Lodge is the Hokianga's finest accommodation experience. 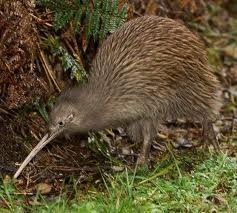 See the real New Zealand bush!